CT Tag for Amy of Gimptastic Scraps using a wonderful winter wonderland kit called Winter Moment. 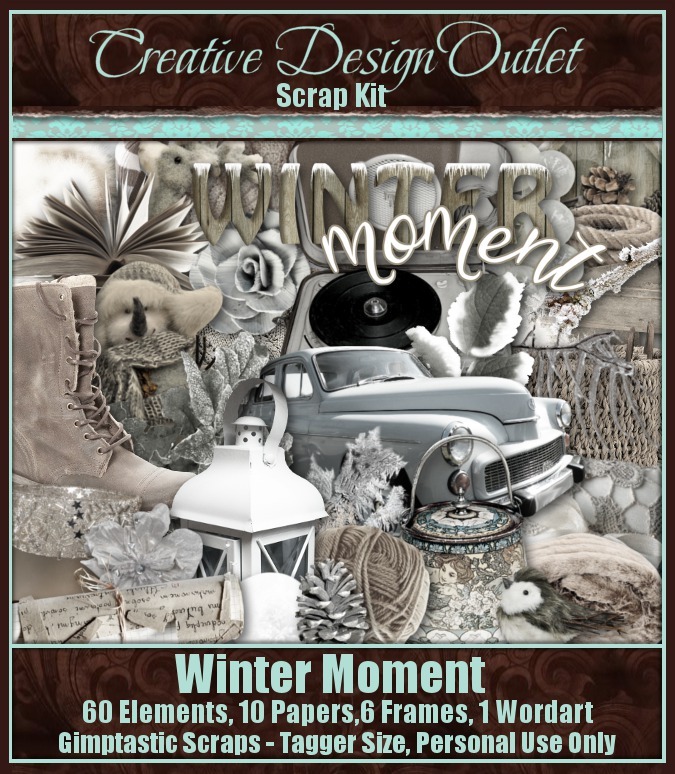 This wonderful kit is a picturesque look at a winter wonderland after a fresh snowfall. The snow is still clinging to the trees, the icicles lay frozen to the eaves of buildings, it is time to put on the boots and winter warmth finery to go out for some snow-time fun activities. You can purchase this kit exclusively at CDO here. With this kit, I used the amazing art of PinUp Toons, which you can purchase here at CDO as well. You can download it here, in size 1920x1080 - this is as-is, no alterations may be made to it, thank you.